Dialogic Organization Development is a compelling alternative to the classical action research approach to planned change. Organizations are seen as fluid, socially constructed realities that are continuously created through conversations and images—change happens when those conversations and images change. How can you influence change through the use of this method? Come learn about this form of OD to use in your own organization, with clients, or to build your toolbox for future interventions. 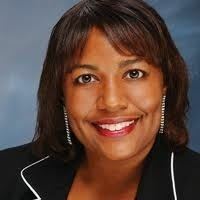 Leslie L. McKnight, Ph.D. is the principal of McKnight & Associates. 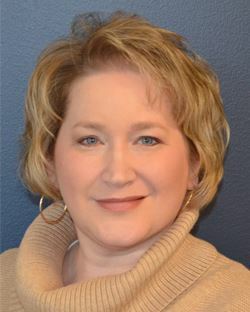 She holds a Ph.D. in Organization Development from Benedictine University, Springfield, IL and a Master of Science (M.S.) degree in Human Services Administration from Spertus Institute, Chicago, Illinois. Dr. McKnight holds over 20 years of experience in public and organization administration encompassing stakeholder management, fiscal management, change management, leadership development and program administration. Her current research and consulting interests focus on the use of self in leadership, strategic management, and organization change. She is published in various academic and management publications. Dr. McKnight recently published an article entitled “Strategic Cultures Drive Organization Performance” in InterBusiness Issues Magazine, Central Illinois. Dr. Julie Bjorkman is Assistant Professor and Director of the Ed.D. program in Higher Education and Organizational Change at Benedictine University in Lisle, Illinois. She has been serving as an adjunct instructor in the Ed.D. program since it began in 2009, while continuing her professional career in org development (OD), HR transformation, change communications and employee engagement. She is a published author on change communication and continues to conduct research, write, and consult with organizations on this topic. Her professional experiences with multinational corporations such as GE, HSBC, British Petroleum, Allstate, Sara Lee, and Takeda Pharmaceuticals have given her a wealth of on-the-job experience with organizational change and leadership development. She graduated with her Ph.D. in OD in 2007 from the globally-recognized program at Benedictine. Dr. Bjorkman earned her bachelor’s degree in English from John Carroll University, and her master’s degree in OD from Case Western Reserve University.